Everyone’s going social these days, but is it right for you? The term “social media” covers a lot of different marketing strategies, but the main idea is to engage current customers as well as find new ones. 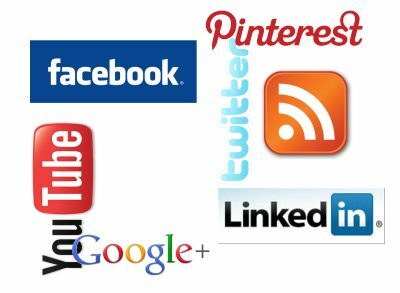 Facebook and Twitter are the best known platforms for now, and maybe you can ignore Google Plus, but other new comers are popping up all the time. Even old-fashioned blogging has great potential to engage current and potential customers. Social is often known as the “soft sell”, where you’re not directly trying to sell or market your product. People may just be in the investigation or research phase. Maybe they’re just wanting to hear how other’s have benefited from a product or service. However, by establishing a rapport with potential customers, you position yourself as a trustworthy resource. When the time comes for people to actually buy, they are much more likely to turn to someone they trust. As far as customer retention, what better way to improve your business than by getting feedback from those who have already done business with you? They may give great insight into how well you’re doing or what you should be doing better. Unlike the other forms of internet marketing, there are not always immediate returns on your investment, but don’t let that fool you into thinking that it’s not as worth your time and money. Even though today’s consumers don’t like being measured only in terms of sales and dollar amounts, they’re not afraid to spend money if you have what they need and if they trust you. Facebook marketing, in particular, has changed drastically over the past year. They’ve basically said that if you’re a business, you have to pay to play. But let’s face it, FB has to make money somehow, and generating ad revenue seems a fair way to do so. The cool thing is, you can do some really crazy targeting now because FB has so much info on its users. If you understand your potential clients really well, running a FB ad campaign might be just the recipe to help you find new leads and grow your business.